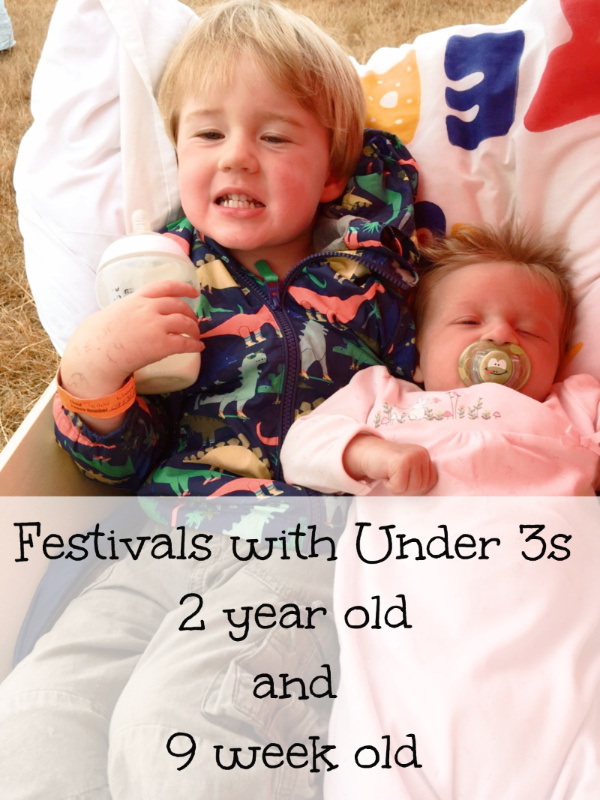 With festival season upon us I thought now would be a good time to share our not insubstantial experience of festivals with under 3s. Specifically Latitude Festival. I have questioned whether we were crazy as has everyone we know. Maybe we are. 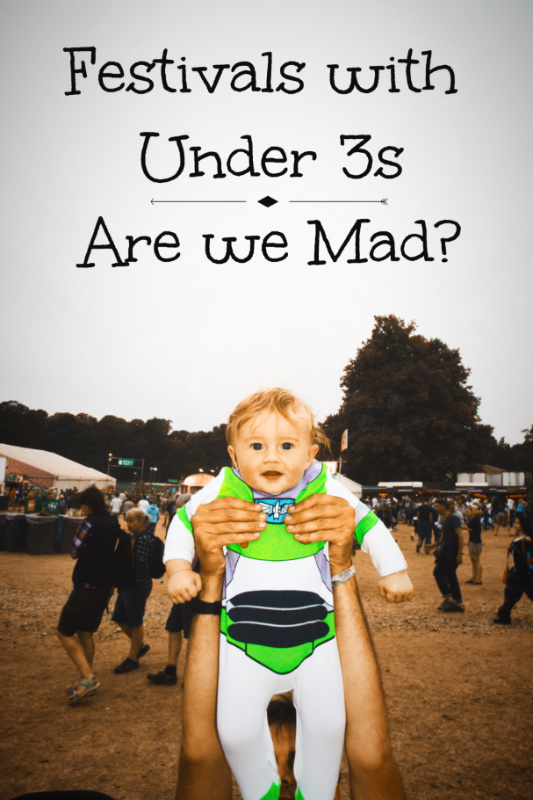 What’s our Experience of Festivals with Under 3s? Latitude 2017 was Ted’s third visit to Henham Park. Obviously people thought we were mad back in 2015 when we took a 6 month old camping. At a festival. For four days. At the time I laughed it off, saying better a 6 month old than a 18 month old. I had visions of my toddler disappearing into the crowd followed by frantic searching and panic. Despite this fear we returned in 2016. Actually our first two experiences were fine. We couldn’t stay in one place too long or he would get bored. At 18 months he would stay awake well past his bedtime despite frustrated parents furiously pushing him around in the pushchair. On the plus side, he didn’t understand the swears and he was quite happy sitting in a field playing with bubbles. Meanwhile we lay around listening to music and sharing a cold pint of cider. Have we Had any Negative Experiences of Festivals with Under 3s? Ted’s first two Latitudes may have been a positive experience but Ted aged 2 ½ was not so easy going. Every other person we passed nodded at his sleeping, new-born sister and commented that we must be brave. They completely ignored the toddler nightmare usually found sat on his father’s shoulders. Ted loved the kids area, the fairground, the bubble shop and Solas, the area with incredible art installations mostly made from lights. Ted did not like noise, sitting still with nothing to do, being anywhere near the music or comedy arenas or food. Poor Ted had a cold but despite being under the weather he refused to nap for three out of the four days. On the Saturday we had planned to leave him with a relative who was camping nearby, just for a couple of hours. Instead Ted had an epic nap meaning we missed everything we had planned to squeeze into that time. We managed to get through the weekend with only minimal tantrums using a strategy of bribery and trickery. In a heartbeat, we already have our tickets for 2018. 3 ½ year old Ted is just as wilful as 2 ½ year old Ted but we are not ones to shy away from a challenge. The thing is, he loved is holiday and cried when it was time to take the tent down. To Teddy everything, the bubbles, the carousel, the helter skelter, the lights, the camping and all the hustle and bustle of a music festival were all amazing. Travel with children is exceedingly stressful and at times excruciatingly frustrating. When you look at it through their eyes suddenly every stress and frustration becomes insignificant and it’s all worth it. Anyway, we did get to see Placebo. For the record 1 year old May will have the time of her life at Latitude 2018. (Check out the pictures here).